I love making tags! The problem I have is actually USING the tags I make because they are like little cards! For these tags, I decided to use Scrapbook.com’s Gifting and Tag Sentiments with their Jumbo Nested Tags dies. 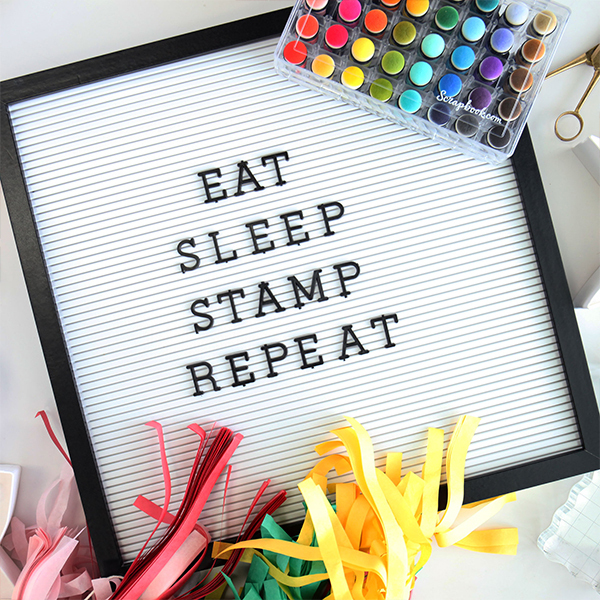 Don’t forget that all of Scrapbook.com’s exclusive stamps, inks, dies, and more are on sale through Sunday! This sale is good for Black Friday through Sunday! GOJUS! I had fun with these. I cut several tags in a couple of the sizes of the tag dies. I really like these because the hole can be left off entirely or you can put that little die with the hole into the notch at the top of the tag die. I taped them together with some Artist tape so I could pick up the dies as one unit. I used my MISTI to stamp on several tags at once, which made it go a lot faster. Some of the tags were stamped with Cardinal Red hybrid ink, and some were stamped with Pine hybrid ink, both part of the Holiday Group of ink pads or you can buy them individually. I accented with the tiny little stamps that come with this set using the same inks plus Daffodil hybrid ink. After all the stamping was done, I added Sakura Stardust pen on each card, with Sakura Clear Glaze on the holly berries, a Tombow red marker to fill in “nice list” on the tag in the bottom left of the photo. I used some glitter tape on the bottom of few of these and tied some twine around the tags that had that embellishment. Finally, I cut the little reinforcements from Bazzill Card Shoppe Wax Lips and Jawbreaker card stock and added some more baker’s twine for the tag strings. Of course, I added the To: From: on the back, and this set has 4 different options for that (allowing me to stamp several tags at once in my MISTI). Below is my list of products that I used, and I have used compensated affiliate links where they were available, as I now participate in affiliate programs for Simon Says Stamp, Amazon, Ellen Hutson LLC, Scrapbook.com, Gina K, Hallmark Scrapbook, My Favorite Things, Sizzix, and Blick Art Supplies. If you’re reading this in an email, you’ll have to click TWICE on the links below, once to get to the LinkDeli site and again to get to the shop of your choice.